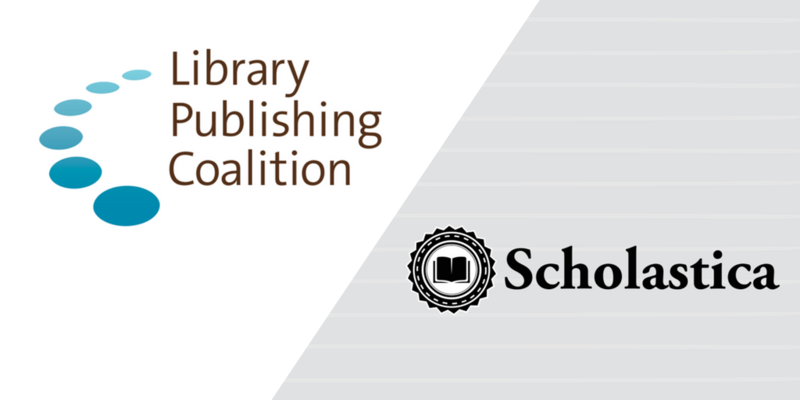 We’re excited to announce that Scholastica is now a Library Publishing Coalition (LPC) sponsor. We share LPC’s vision for a “scholarly publishing landscape that is open, inclusive, and sustainable” and we’re thrilled to support the organization as it works towards this aim. We’ve had the pleasure of attending past Library Publishing Coalition Forums including the 2015 LPForum and the 2017 LPForum, during which we presented on ways libraries can support academic-led journals. We look forward to attending future events and getting to know the LPC community as a sponsor. LPC members are creating impressive journal publishing programs and resources at their institutions and beyond, which we hope to help further and promote. At Scholastica, we believe that the academy has the power to reclaim control of journal publishing by using tools and services to manage the entire research lifecycle on their own - from peer review to production to distribution - without needing to outsource to corporate publishers. That’s why we’re committed to creating tools to make publishing more efficient and affordable so that any organization can run its own journals, and we’re committed to supporting organizations that are furthering academy-owned publishing models. Librarians are on the front lines developing and working with new academy-owned journals and we’re thrilled to stand with them in this effort. We hope the community will get to know us and the tools we offer as we work towards the shared goal of a more open and transparent research future. A big thanks to LPC for giving us the opportunity to sponsor! We look forward to supporting LPC and promoting the great work its members are doing.